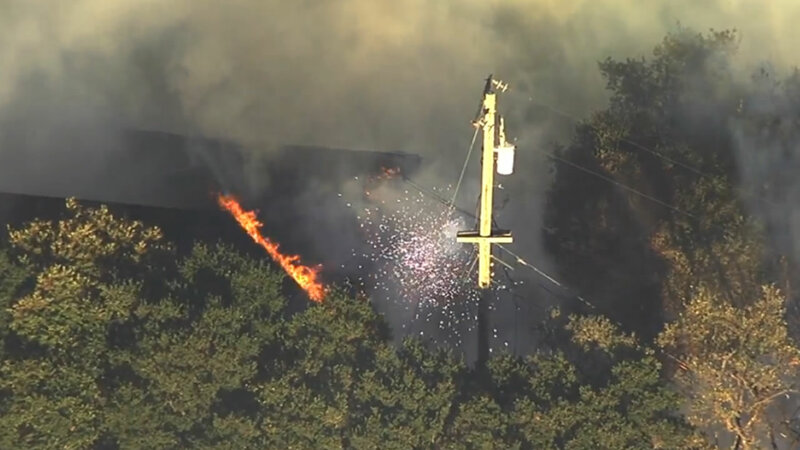 NOVATO, Calif. (KGO) -- A structure is threatened and utility wires are down as a result of a two-alarm vegetation fire in Novato Tuesday evening, a fire spokeswoman said. The incident was reported just after 6 p.m. off of Oliva Drive. Firefighters are still in the initial stages of responding and are not yet sure about the size or impact of the fire, according to Novato Fire District spokeswoman Sandy Wargo.